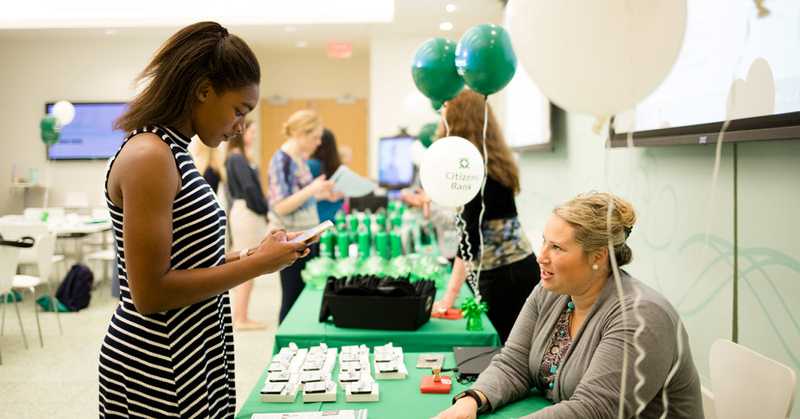 At Citizens Bank, teaching and advocating for financial literacy in our communities is one of our core pillars and commitments as a company. Financial literacy is the ability to make smart decisions regarding personal finances. It is fundamental to stable employment and effective management of income, taxes and other expenses. So how do you foster generations of financially-sound individuals? Teach them early. That is just what we had in mind when we hosted a financial literacy workshop for a group of female students from Milton Academy, in partnership with non-profit organization Invest in Girls. Citizens is a bronze sponsor of the organization, which works with high school age girls from all different economic backgrounds to provide financial literacy programming and equip them for powerful futures. The workshop was the second annual event Citizens has hosted in collaboration with Invest In Girls. Aside from that, Citizens has held several branch visits with smaller groups of girls, which similarly offer financial learning and opportunities for mentorship. If you are interested in joining an organization committed to empowering younger generations, consider learning more about our open opportunities today.